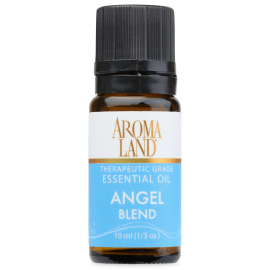 Angel Essential Oil Blend, 1/3 oz. You can enjoy the scent of Angel Essential Oil Blend, 1/3 oz. includes Essential Oils of Red Grapefruit, Lime, Lemon, Basil, Lavender, Cedarwood. Bedtime Essential Oil Blend, 1/3 oz. You can enjoy the scent of Bedtime Essential Oil Blend, 1/3 oz. has Essential Oils of Lavender, Chamomile Roman, and Neroli. Breathe Well Essential Oil Blend, 1/3 oz. You can enjoy the scent of Breathe Well Essential Oil Blend, 1/3 oz. has Essential Oils of Sage, Hyssop, Eucalyptus, Spruce, Thyme, and Myrtle. Santa Fe Essential Oil Blend, 1/3 oz. You can enjoy the scent of Santa Fe Essential Oil Blend, 1/3 oz. has Essential Oils Spruce, Fir needle, Pine, and Juniper Berry. Sensual Essential Oil Blend, 1/3 oz. You can enjoy the scent of Sensual Essential Oil Blend, 1/3 oz. 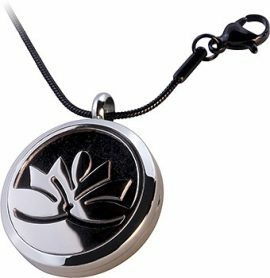 has Essential Oils of Palmarosa, Nutmeg, Balsam Peru, Ylang Ylang, and Vetiver. A soft and irresistibly sensual blend of Essential Oils that is subtle, yet remarkable. The aphrodisiac sweetness of Ylang Ylang and Palmarosa is offset by earthy and spicy aromas to form a delicious synergy. Use this blend in a diffuser or to scent potpourri. A bath with Sensual Blend dissolves stress and tension, and rejoices the senses. Simply blend up to 10 drops with Aromaland’s Coconut Emulsifier or some Half & Half prior to adding it to the water, in order to prevent the oil from floating on the surface. Create your own Sensual Aromatherapy products. You can use Aromaland’s Carrier Oils and Unscented (AromaFree®) range to customize all your Aromatherapy and Personal Care needs. Recommended dilution for Essential Oils and Blends is 1% (9 drops per 1oz. of base product) for general applications, or 0.5% (4 drops per 1oz. of base product) for facial and sensitive area applications. Yogi Essential Oil Blend, 1/3 oz. You can enjoy the scent of Yogi Essential Oil Blend, 1/3 oz. has Essential Oils of Patchouli, Cedarwood, Spruce needle, Frankincense, Myrrh, Spikenard, Cistus and Vetiver. A blend made in the spirit of the Yogi. Celebrate Essential Oil Blend, 1/3 oz. You can enjoy the scent of Celebrate Essential Oil Blend, 1/3 oz. has Essential Oils of Orange, Cinnamon, Spruce, Patchouli, Clove..
Citrus Essential Oil Blend, 1/3 oz. You can enjoy the scent of Citrus Essential Oil Blend, 1/3 oz. has Essential Oils of Orange, Tangerine, and Lime. 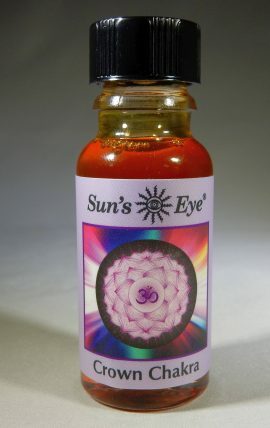 You can enjoy the Crown Chakra Essential Oil Blend, 1/2 fl. oz., Sun’s Eye features Clear Quartz and Sandalwood Chips to promote spiritual awareness. Contains Essential Oils of Orange, Mandarin Orange, Lime, Lemon Myrtle, Green Myrtle. Energizing Herb Essential Oil Blend, 1/3 oz. You can enjoy the scent of Energizing Herb Essential Oil Blend, 1/3 oz. has Essential Oils of Rosemary, Cypress, Juniper Berry, Basil, Lemongrass, Orange, and Vetiver. Energizing Mint Essential Oil Blend, 1/3 oz. You can enjoy the scent of Energizing Mint Essential Oil Blend, 1/3 oz. has Essential Oils of Spearmint, Peppermint, Rosemary, and a citrus twist of Orange, Red Grapefruit, Lemongrass. Exotic Essential Oil Blend, 1/3 oz. You can enjoy the scent of Exotic Essential Oil Blend, 1/3 oz. has Essential Oils of Clary Sage, Ylang Ylang, Vanilla, deliciously spiced with Patchouli, Orange, Cardamom, and Nutmeg. Feminine Balance 10% Essential Oil Blend, 1/3 oz. You can enjoy the scent of Feminine Balance 10% Essential Oil Blend, 1/3 oz. 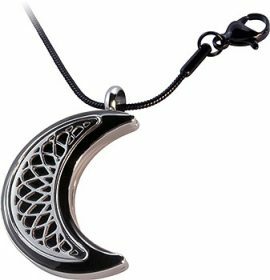 has Essential Oils of Orange, Sandalwood, Clary Sage, Moroccan Rose, Jasmine Abs., Yarrow, Tanacetum, Ylang Ylang, and Vetiver. 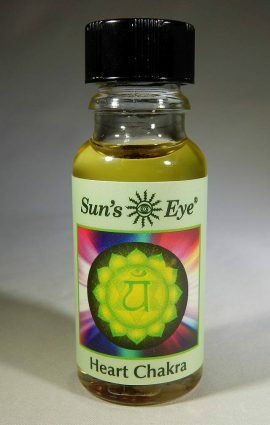 Goddess Spirit Essential Oil Blend, 1/3 oz. You can enjoy the scent of Goddess Spirit Essential Oil Blend, 1/3 oz. contains Essential Oils of Orange, Tangerine, Jasmine, Ginger, Grapefruit. Harmony Essential Oil Blend, 1/3 oz. You can enjoy the scent of Harmony Essential Oil Blend, 1/3 oz. has Essential Oils of Clary Sage, Spikenard, Rose, and Cinnamon Leaf. You can enjoy the Heart Chakra Essential Oil Blend, 1/2 fl. oz., Sun’s Eye features Rose Quartz and Rose Petals to promote love and compassion. Contains Essential Oils of Rosewood, Patchouli, Geranium, Litsea Cubeba, Petitgrain, Orange, Ylang Ylang. Indulgence Essential Oil Blend, 1/3 oz. You can enjoy the scent of Indulgence Essential Oil Blend, 1/3 oz. has Essential Oils of Mandarin Orange, Sage, Rose Geranium, Palmarosa, Nutmeg, Rosewood, Cedarwood, Patchouli, Cardamom, and Vetiver. Love Essential Oil Blend, 1/3 oz. You can enjoy the scent of Love Essential Oil Blend, 1/3 oz. includes Essential Oils of Rosewood, Patchouli, Geranium, Litsea Cubeba, Orange, Muhuhu, Petitgrain, Ylang Ylang Complete. Meditation Essential Oil Blend, 1/3 oz. You can enjoy the scent of Meditation Essential Oil Blend, 1/3 oz. has Essential Oils of Frankincense, Myrrh, Ylang Ylang, Sandalwood, and Cistus Labdanum.